Home / All TV Shows / Car 54, Where Are You? When will be Car 54, Where Are You? next episode air date? 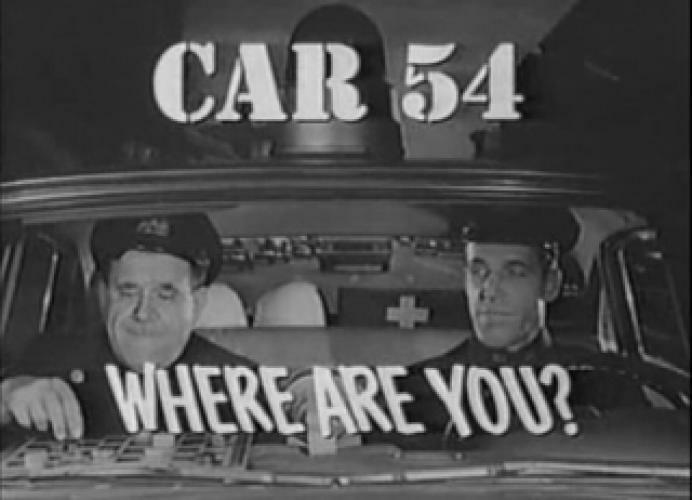 Is Car 54, Where Are You? renewed or cancelled? Where to countdown Car 54, Where Are You? air dates? Is Car 54, Where Are You? worth watching? Car 54, Where Are You? features the misadventures of two of New York's finest in the mythical 53rd precinct in the Bronx. Gunther Toody, a short, stocky and dim-witted henpecked husband, is partnered with Francis Muldoon, a tall, lanky and smart bachelor. Car 54, Where Are You? next episode air date provides TVMaze for you. EpisoDate.com is your TV show guide to Countdown Car 54, Where Are You? Episode Air Dates and to stay in touch with Car 54, Where Are You? next episode Air Date and your others favorite TV Shows. Add the shows you like to a "Watchlist" and let the site take it from there.